Jane Hutchinson was one of the volunteers who set up the Tasmanian Land Conservancy in 2001. Fifteen years on she heads the organisation, which now protects over 60,000 hectares of land. Hutchinson is this week’s Changemaker. The Tasmanian Land Conservancy (TLC) started with $50 in the bank and has since grown into a $30 million organisation that preserves natural sites, endangered species’ habitats and rare ecosystems through buying and managing private land. 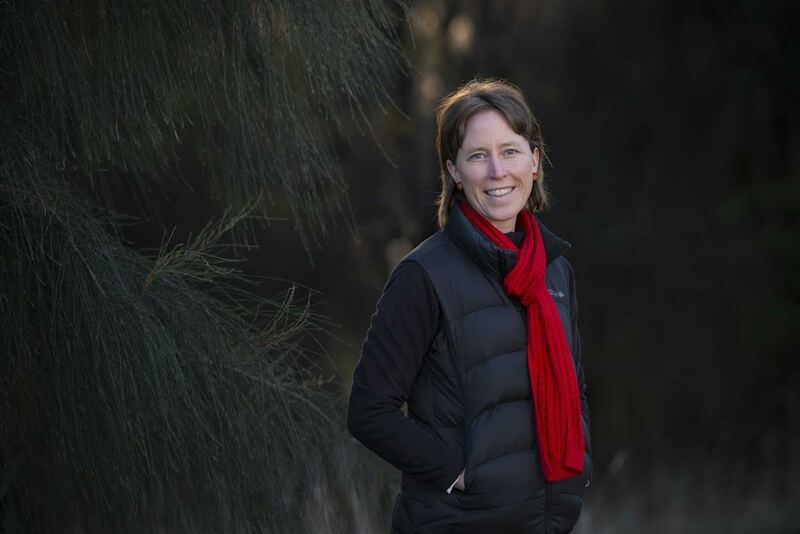 Prominent conservationist and Tasmanian Australian of the Year for 2016, Jane Hutchinson, is CEO of the TLC. 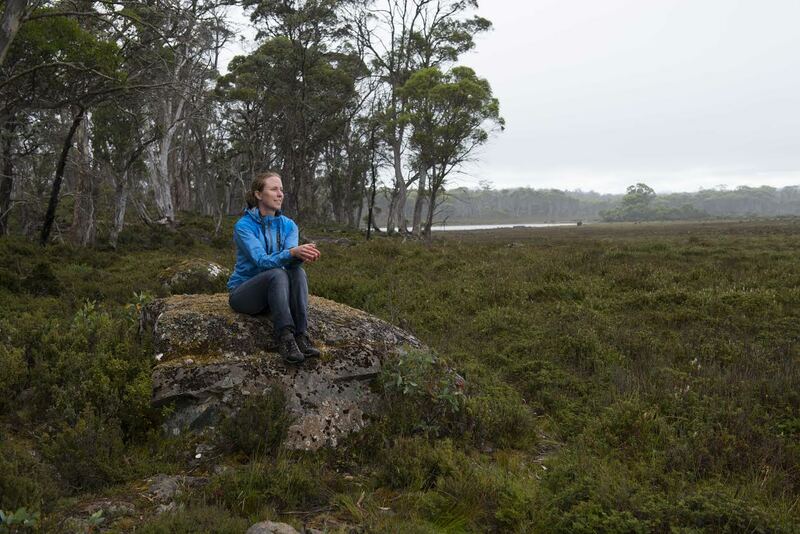 In this week’s Changemaker column Hutchinson shares her passion for nature and her vision to make Tasmania known as a global leader in nature conservation. How did you get your start in the Not for Profit sector? I’m a lawyer by training, and as I had skills that could help the Tasmanian Land Conservancy when it started up, I was one of the first board members for the organisation, and I drafted the first constitution and helped with the founding documents. I suppose I had been involved in the Not for Profit sector before, but the Tasmanian Land Conservancy is certainly the most significant organisation I’ve been involved with. And I guess broadly I have a strong sense that Australians have a strong ethic of volunteering and supporting Not for Profit organisations, and I’m no different to that strong ethic that exists across the nation. What attracted you to the Tasmanian Land Conservancy? The Land Conservancy, when I started with it, was a very young organisation. It had only been going for six months, so it was really the objectives of the organisation, which were to look after nature on private land. I saw it as an opportunity to do something very positive and tangible to help conserve nature in the state that I live in and am very committed to. Fifteen years on, are the objectives of the organisation the same? Largely the same, so the current objectives of the organisation – or vision I should say – is for Tasmania to be a global leader in nature conservation. Our objective within that for the Tasmanian Land Conservancy is to make the greatest positive contribution to nature conservation on private land. Largely our objective hasn’t changed, but our vision has broadened beyond the organisation to across the whole island, so our vision is very much for the whole state, not just our organisation. And we play a small part in achieving that vision, and we try to bring as many partners along with that journey as possible because partnership is a lot more fun and also obviously maximises your effort. The more people who are doing similar things, the better the outcomes are and the bigger the outcomes are. It’s a very rewarding way to conduct ourselves. Are those objectives being met? Tasmania is uniquely placed to be a global leader in nature conservation, it’s known nationally as a natural state, so I think already there’s an iconic brand for Tasmania as being synonymous with nature, and certainly a lot of the work that’s been done in the state to maximise that brand advantage seems to be continuing along that path. I think businesses and governments and individuals are very aware that the “natural state” is our competitive advantage globally. And I think there’s many, many people working to keep that brand, and I think Tasmania’s uniquely placed to be a leading light on that front. The job’s not done, there’s still work to be done, and certainly as far as looking after nature on private land there’s a lot we can learn and there’s a lot we can still do, but I am very positive and hopeful for the future and I’m very positive and hopeful for Tasmania and Tasmania’s future. And really taking advantage of being a natural state and exploiting that advantage to the best of our ability down here. 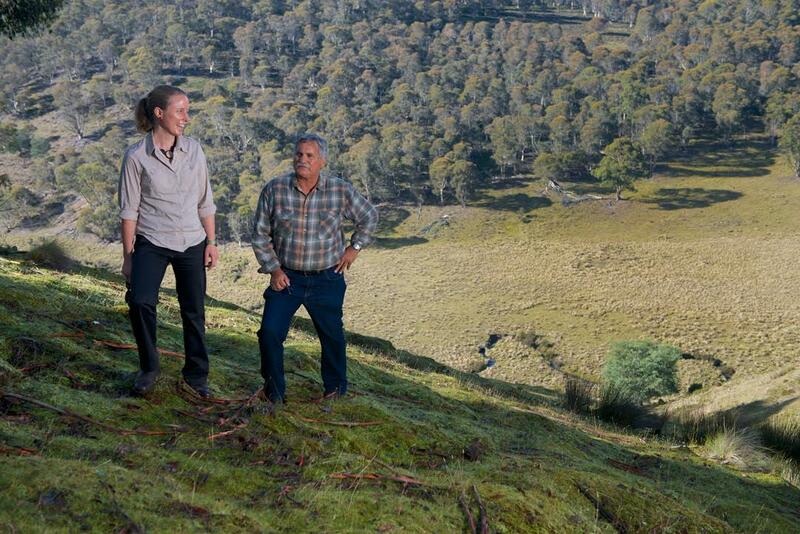 The Tasmanian Land Conservancy operates with a business-based model – can you explain how that works? The organisation has multiple funding streams, not least of which of course is private donations that are the lifeblood of the organisation and a really important contribution in terms of how we operate and the work we do. But we also use business principles to do our work. So we have explored a number of business opportunities, for example the carbon project we have done with Virgin Australia. We’ve created a carbon project from forest carbon, we’ve purchased some vast tracts of land that were forested in 2010 and set about creating a carbon project that sequesters carbon in those forests, and now we’re trading on the Australian secondary market in the carbon sector and generating income for the organisation from those carbon sales. And they’re the kinds of innovative things our organisation pursues, because we know that it’s the best business strategy to have multiple income streams and not rely on anyone, whether that’s philanthropy or government or business. So we try to take advantage of all of the different kinds of incomes that might be available to our organisation so that we are financially sustainable into the future and so that the organisation will continue to be able to do it’s good work forever. One of the biggest challenges is what to say no to, because there are so many amazing opportunities in nature conservation, not just in this state but globally. We want to work with lots of people who are doing really interesting and innovative things around the country and internationally and in Tasmania. And there are all sorts of terrific and positive and optimistic people who are always coming up with fantastic new projects and ideas that would be terrific if we could do all of them, and similarly, we’ve got so many wonderful volunteers who want to keep supporting the organisation and help us do our work, and that’s really terrific and the challenge is to keep coming up with really terrific projects for people to be involved in and to do. How do you find leading an organisation? I’m really privileged and honoured to be the leader of this organisation at a really exciting time in its development. I’m so very proud of all of the achievements that we have made over the past 15 years, and we’ve just got such incredible support from not only people who make financial donations to the organisation and people who left bequests, people who’ve volunteered their time altruistically, all of our staff who are so super dedicated and everyone in government and our partners who support the work we do. It’s just a privilege and an honour to be the one who is the figurehead for the organisation, and really looking forward to the future and to where the organisation goes in the future because there is so much opportunity, and it’s a really terrific time to be in Tasmania and having lots of different projects we can do and be involved with. What is the future direction of TLC? Our strategy for the next five years and beyond is to continue to do the work that we do conserving nature on private land, to look after the private reserves we already own and to keep doing the scientific work that we’re doing, setting long-term ecological monitoring baselines so that we really understand what’s going on in our reserves and understand the way that we respond in terms of management. We are also looking to be an innovative organisation as we have been for the last 15 years, but to continue along the lines of innovation and to take opportunities as they come, to do nature conservation in different ways, and to work with different people and organisations to achieve that, and also to involve as many people as possible along that journey, whether those people are volunteers or supporters or government or other businesses or other partners all around Tasmania and Australia and beyond. My vision is that nature conservation is mainstream, it’s something that everyone does without thinking about it, it’s something that is part of who we are in Australia and part of something that we all care about, and I can see a future where that will absolutely be so. 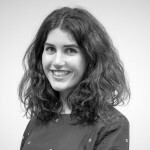 Does anything frustrate you about the Not for Profit sector? I think the Not for Profit sector is so diverse, there are all sorts of people working on really incredible programs and for terrific purposes, I think the Not for Profit sector is no more or less challenged by changes globally and nationally than other businesses. I don’t think it’s something that would necessarily be a frustration just for the sector. I suppose one thing that could be thought about in the future is what people do for Not for Profits and how they give, and to talk about giving is [an area] where there’s huge opportunity for Australia in the Not for Profit sector to really celebrate giving, whether that’s voluntarily or financial support for organisations, because we still, in Australia, have a little bit of cringe about supporting organisations and we tend not to talk about how much we might financially support an organisation, or how much we might volunteer, but I think that’s something that really should be celebrated and embraced and people who do make significant contributions ought to be celebrated and really rewarded for their commitment to Not for Profit sectors. So I think there is still a little bit anonymity that happens, and happens for multiple reasons, but if it happens because people might be a little bit weary or a little bit embarrassed about being celebrated, then I think it would be really lovely to turn that on it’s head and say let’s not be embarrassed about celebrating people or foundations or businesses that give altruistically to the Not for Profit sector. Jane Hutchinson. Photo by Matthew Newton. What keeps me motivated is nature. Looking up every time I got outside and take a breath of clean air or go for a swim in the clean water in Tasmania, or whenever I go for a walk and hear birds in the trees and go out and spend some time outside and realise I’m just a very small part of a very large world, I am really grateful and it really motivates me to keep going because I really think that nature is a great provider, it’s something that gives us clean air and clean water and healthy soils and productive crops and shelter and medicine and nature is there for us and gives us all of those things, and it motivates me to give back to look after the very thing that keeps us alive. And of course the joy, just the great joy to be in nature, I love it and I will continue to probably do something in relation to nature conservation for the rest of my life, it’s under my skin. You were named the Tasmanian Australian of the Year for 2016, what do you put your success down to? What I’m really proud of is to live in a country that does care about nature, and that that’s been shown by the award, and it does make me proud that we did live in a place that really cares and cares as much as it does for people, it cares for people and it cares for nature and it makes me really proud that I live in a country that ranks that as important. I’m more proud of Australia and the place and the people who live here, rather than any personal achievement, it’s really lovely to be a figurehead of an organisation and receive an award for that, but it’s so much bigger than me, it’s all of the people who have come along the journey who’ve given thousands of hours of their time, or made extraordinary donations or just had a real passion and committment to talk about nature conservation and those kinds of things, so it’s by no means me, I just happen to be the figurehead. I definitely don’t see it as a personal kind of achievement of itself, it’s a much, much bigger thing and so many people have been involved in that journey, and really it’s an achievement for them, so it’s really an endorsement that all of those people and people in government and people in business and people who have had time to influence supporting nature conservation, it’s really for them.